The famous helicopter comes back to your screen, and so do the new missions which you are to complete. Your task is to control the copter, destroy the enemies on your way and collect different powerups. Are you ready to show everything you can? Battle helicopters have always been an important part of the modern warfare. 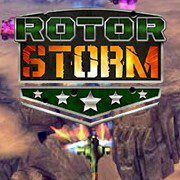 You are a copter pilot, and your mission in this online shooting game is extremely clear: you must face the enemy battle machines in the sky and try to destroy them all. Prepare for the last battle over the enemy lands – and try to accomplish your mission successfully and return to the home base safe and sound! Your motherland is in danger, and it is a sacred duty of every true man to defend it at any costs! Hurry up, your land needs you in this wonderful action game!